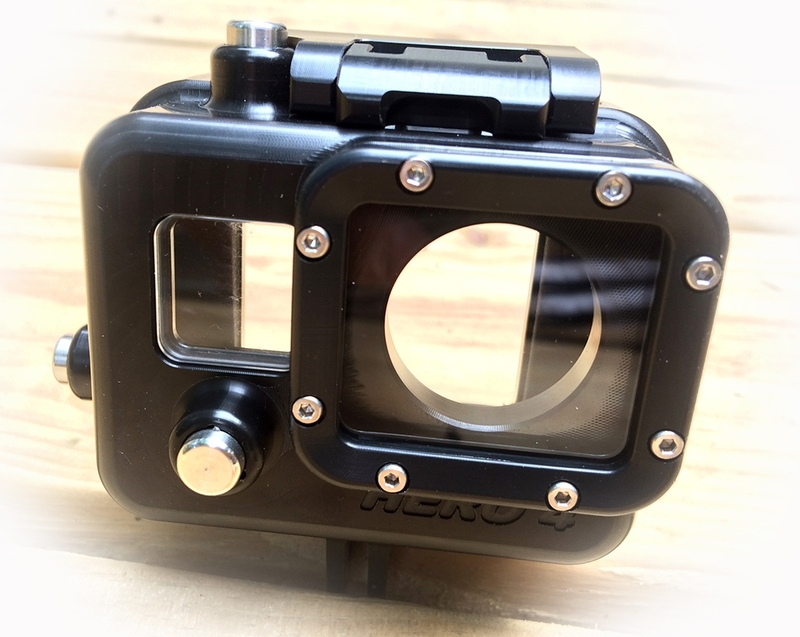 Depth rated underwater housing for GoPro Hero4 cameras. 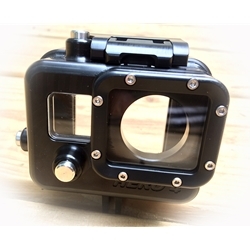 Fits Hero4 Silver from GoPro. 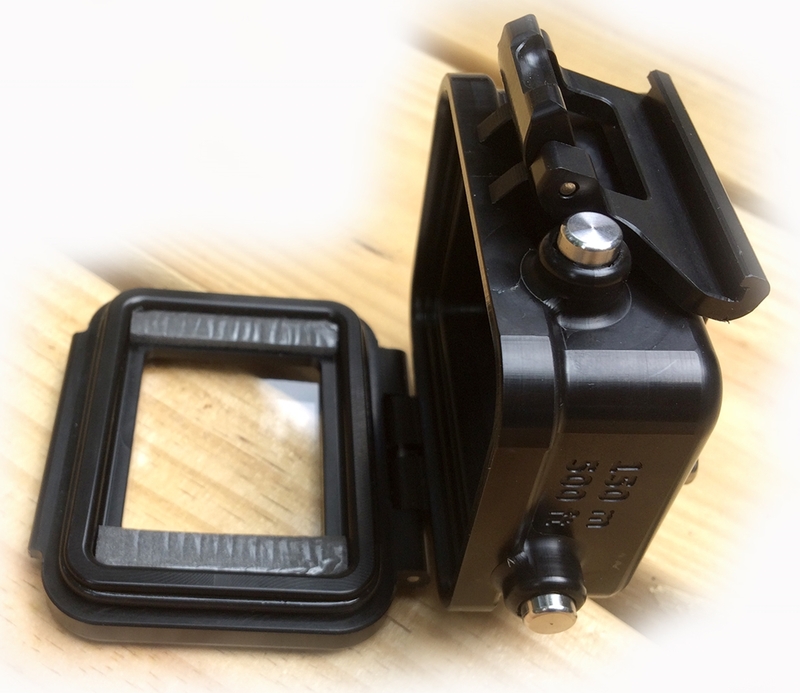 Compatible with all standard GoPro mounts. 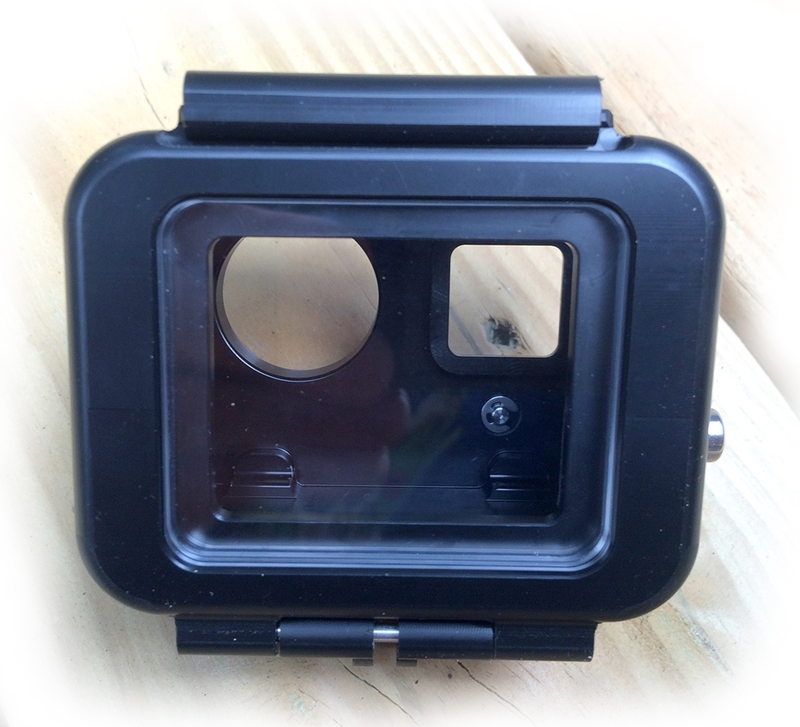 Flat lens port is from optical quality Perspex. Preserves HD sharpness at any depth. Housing is made of Delrin to keep it as light as possible. 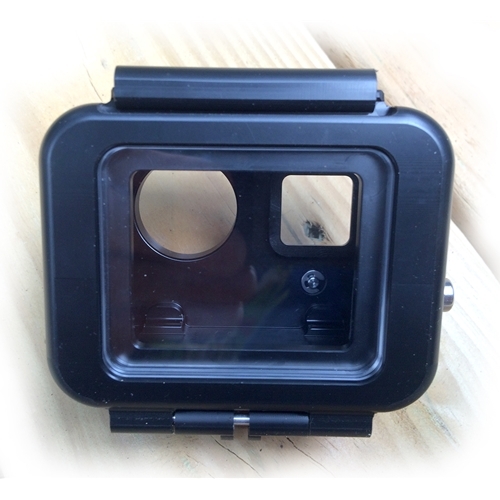 Housing only, camera sold separately.